Rooms from $94.99 per night. 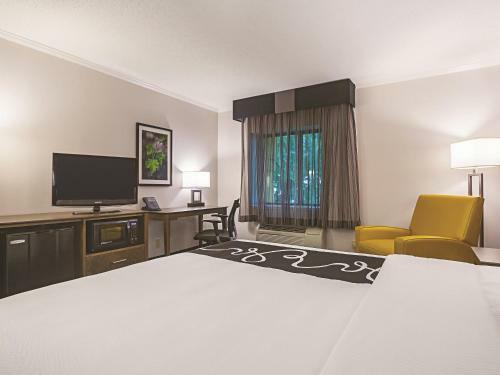 Free breakfast free internet access and free parking as well as a great location have our guests smiling at the non-smoking La Quinta Atlanta Midtown - Buckhead. 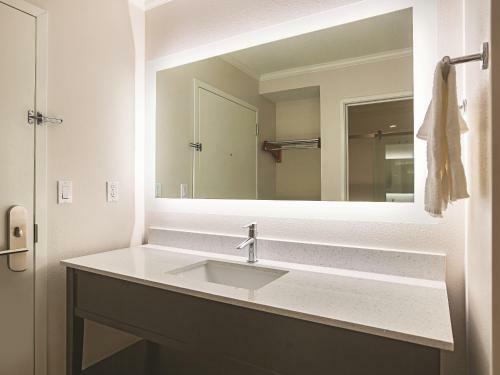 This non-smoking La Quinta offers 101 comfortable rooms that include free Wi-Fi flat-panel cable TVs coffeemakers hairdryers and ironing gear. Get your morning started with the complimentary signature breakfast which features made-to-order waffles and many other hot and cold items. The fitness center keeps you on your exercise schedule and guest laundry facilities keep you looking your best. Parking is free and pets are welcome also at no charge. 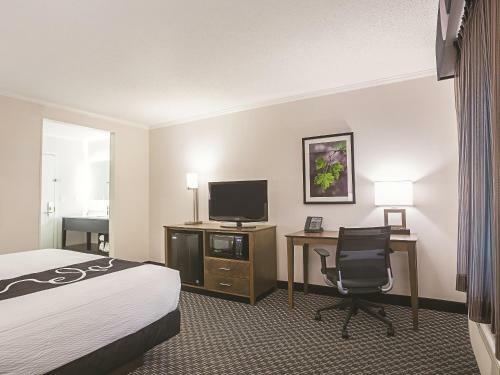 The La Quinta Inn is only a 10-minute drive from downtown Atlanta so you'll be close to the CNN Center Centennial Olympic Park the cobblestone streets of Underground Atlanta and the Georgia Dome. Stone Mountain Park a recreational and theme park that is a major hit with families is less than 30 minutes from the hotel. It's 17 miles to Hartsfield-Jackson Atlanta International Airport. 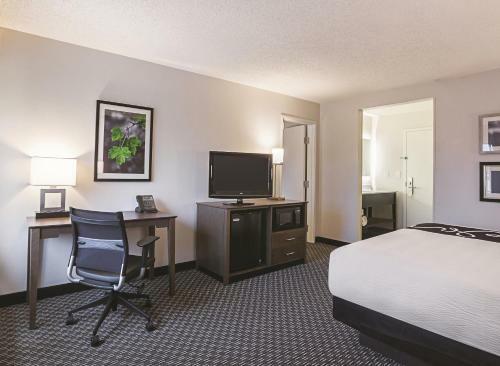 Add La Quinta Inn & Suites Atlanta Midtown - Buckhead to your free online travel itinerary.